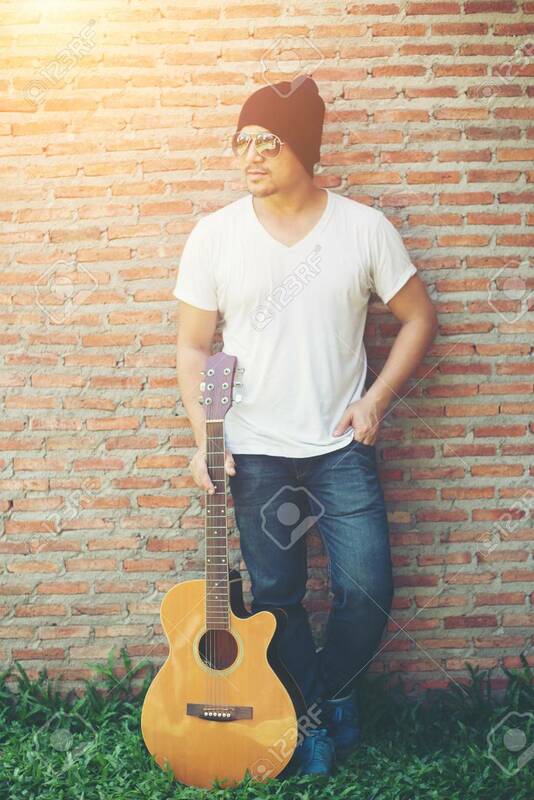 Handsome Guy Standing Holding Guitar Against The Brick Wall Posing Look Away. Relaxing Holiday. Banco De Imagens Royalty Free, Ilustrações, Imagens E Banco De Imagens.. Image 77500994.